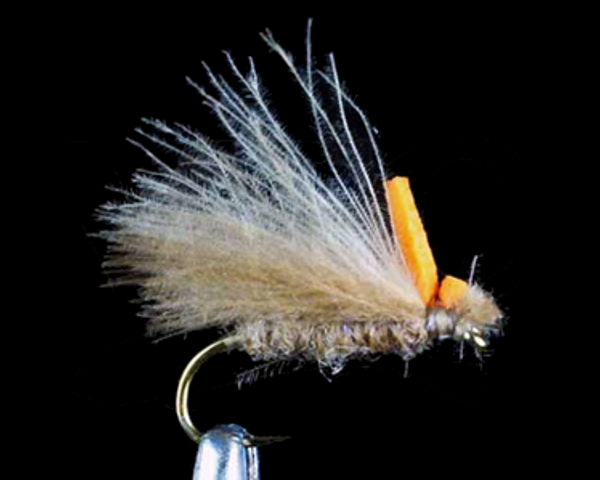 Jake's Hi-Vis CDC Caddis is a sparse and realistic caddis pattern that is easy to see in low light. Thanks to an orange foam top, this CDC pattern is easy to spot amidst the turbid riffles as the sun escapes beyond the horizon. 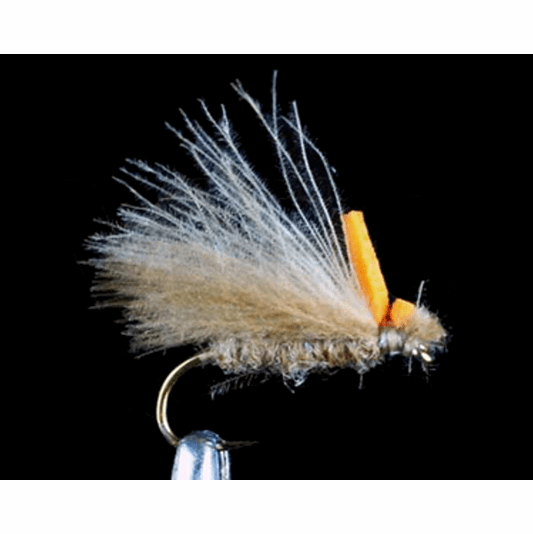 Douse this pattern with a healthy amount of fly agra or gink before fishing.